Comment: When Rhino V3 is installed or run on a computer running in an Asian language, Rhino requires a hardware lock. This was a requirement of our Asian distributors. If you prefer to leave your Windows system in the Asian language, you will need a parallel or USB port hardware lock. These are available from Robert McNeel & Associates. They are included in V3 Rhinos intended to be sold in Asia. The other option is to go into the Control Panel and run the Regional and Language Options applet. 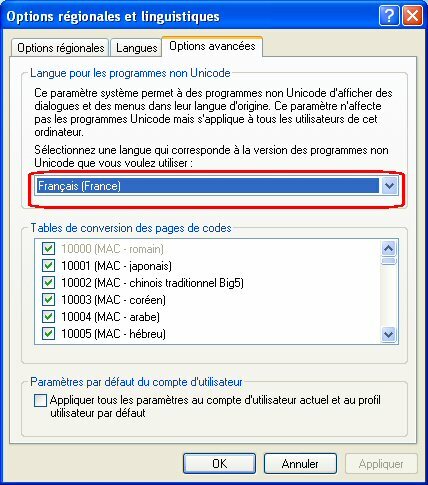 Both the “Standards and format” and the Advanced - “Language for non-Unicode programs”. 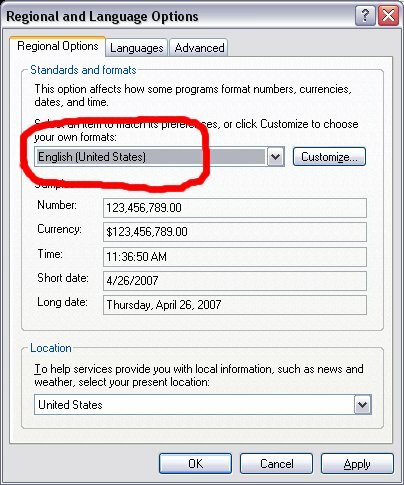 need to be set to US English or another Western European language. Rhino will no longer ask for a hardware lock. Note: For Rhino V4, this hardware lock system was replaced with a license validation system.